**Warped, vintage-styled house glamour from the 100% Silk camp** "Montreal barber Robert Squire has a lengthy music biz CV as hip-hop producer, remixer, label boss, DJ, graphic designer, and beyond, but the past few years have seen him zeroing in more exclusively on his revolving door hardware operation, Prison Garde, with rawer and more ruthless results. Occultsystem gathers ten of his starkest grey-scale technoid skeletons into a tense suite of paranoiac electronics and faded 5 AM cruises down desolate service roads. Entirely improvised using a TR909, Moog Minitaur, Juno-60, Tetra synthesizer, 3630 Compressor, some pedals, and a mixing desk, Squire's tracks strip rhythms to the bone, leaving them to shiver in a shadow of echo and bass gloom. 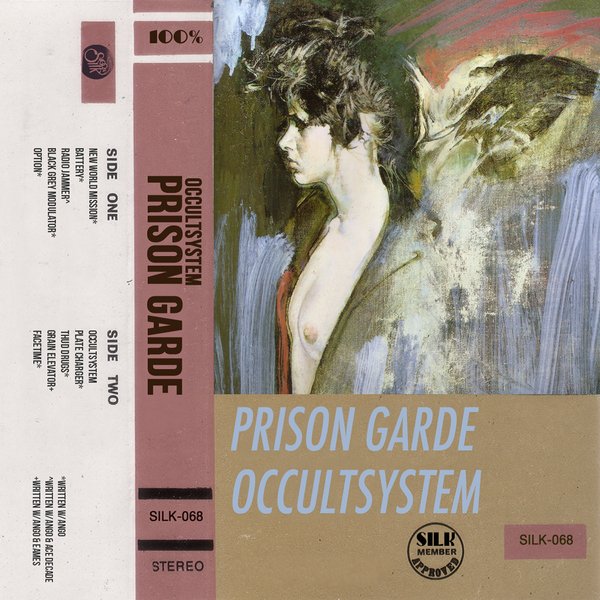 Close associates like Ango, Ace Decade, and Kevin Eames contribute as well, co-scheming percussion blueprints, modulating FX, and whatever else gets deemed crucial to the particular Prison Garde industrial complex at hand. A bleary, brooding, but banging decagon of jammed signals, hunkered youth, and concrete tunnel visions, decrepit grain elevators flashing past in the window."